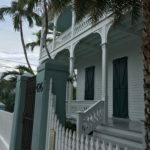 One of the great free things you can do in Key West is walk around and check out the Historic Walking Tour stops. This is another stop along the tour. The Sawyer Navarro home was been moved to its current location from Duval. 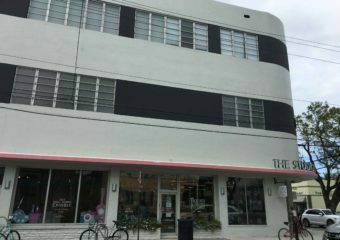 It was originally built on the corner of Duval and Fleming. Today, the location is home to CVS Pharmacy. But we are getting ahead of ourselves. The builder of the home was John Sawyer. John was born in 1853 in the Bahamas. His family was making their way from Ireland to the United States. They moved from Georgia to Florida. 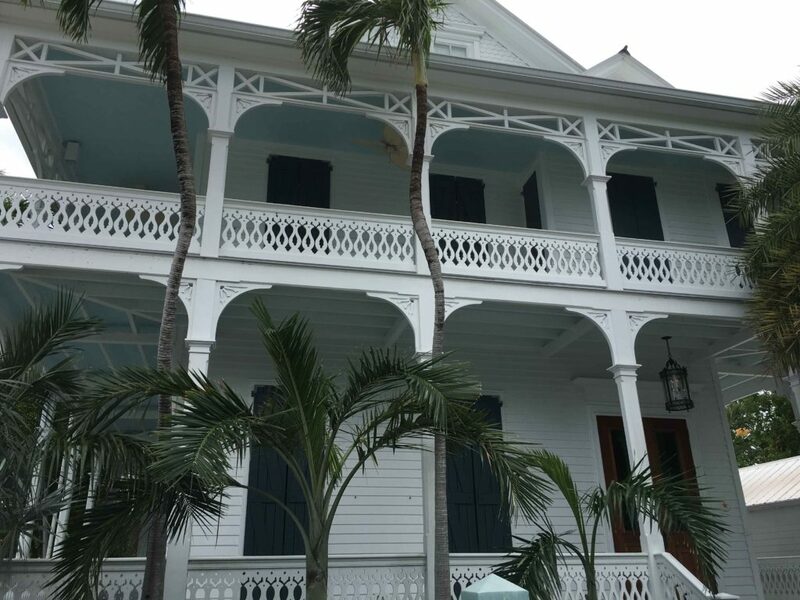 By 1872, John had moved to Key West where he worked as a journeyman carpenter. 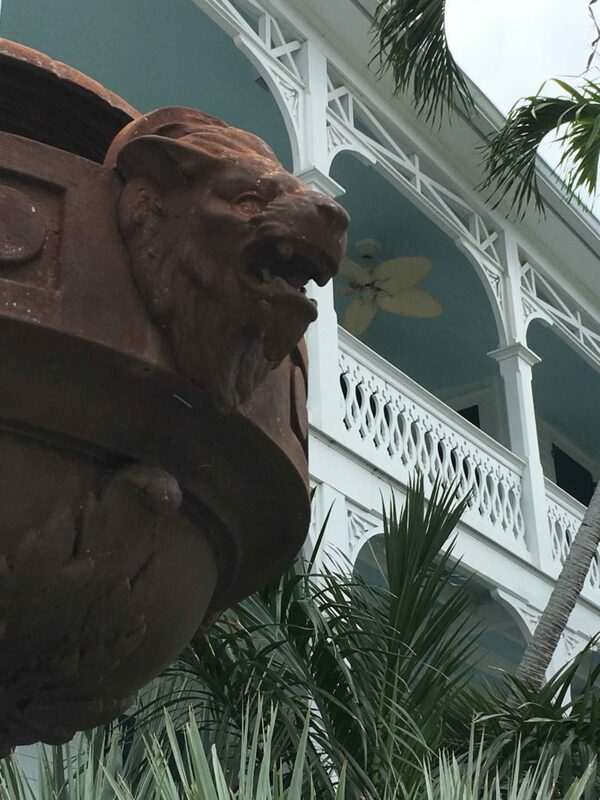 Just a short 16 years later, he was recognized as Key West’s best builder as well as leading merchant on the island. 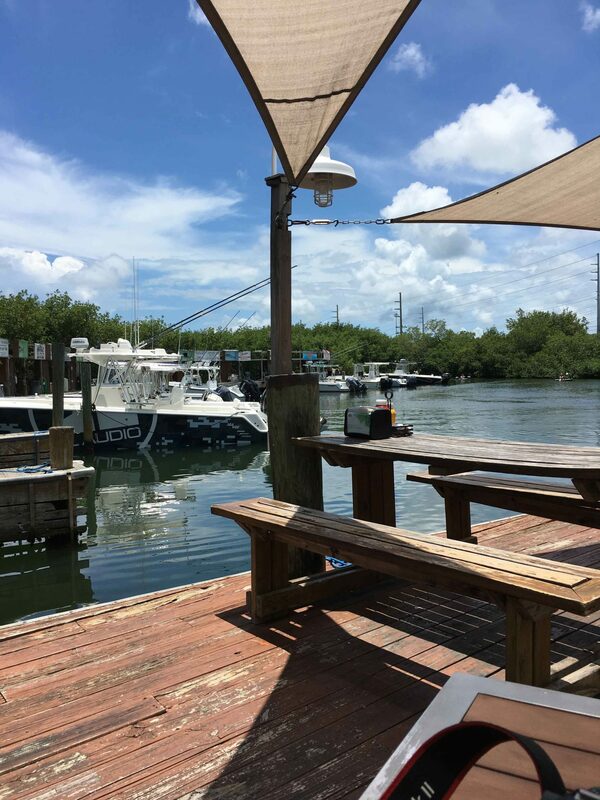 He was a master builder, sponger and banker who owned a ship chandlery and the Steamboat “City of Key West”. A ship chandlery was a store that sold supplies or equipment for ships. The steamboat line operated service to Baltimore, among other stops. He was also a City Commissioner for six years. 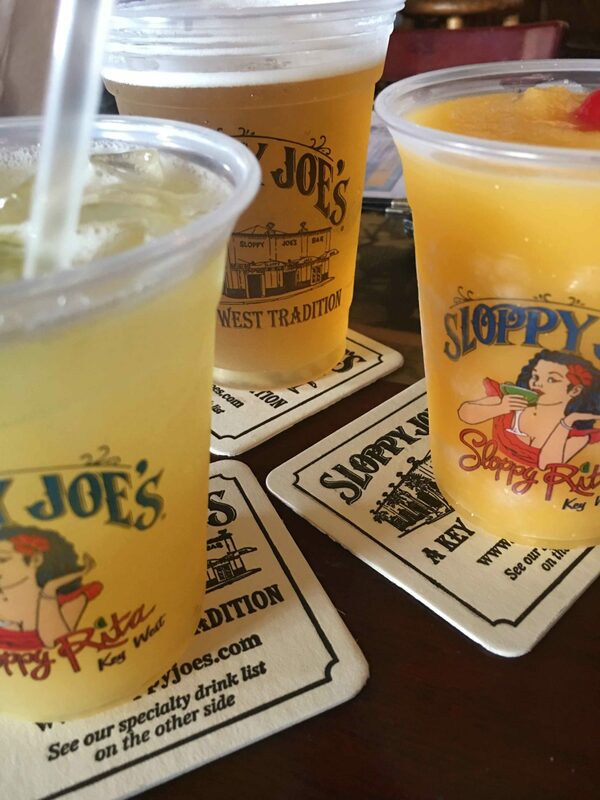 A very accomplished man for Key West. He had a lot of impact on the town. 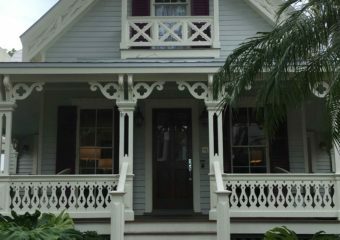 This is a 2 1/2 story home in the Classic Revival style. It was moved, in 1912, as part of the exodus of grand homes off of Duval. The homes were moved to make room for commerce and urban development. Today, the location is home to CVS, but originally the building was the Kress & Co. “five and dime” store. After it closed, it was a local institution named “Fast Freddy’s”. Shortly after moving the home to its current location, 426 Elizabeth Street, Daniel and Eva Navarro purchased it. Daniel owned an auto garage and by 1928 owned Gato & Navarro, Inc. a car dealer and automotive repair company. The home remained in the Navarro family for 70 years. Elizabeth Street is tree lined with beautiful and historic homes. As you walk down the street, you will want to know the story about each and everyone of the homes. But this one is on a corner lot and is impressive. 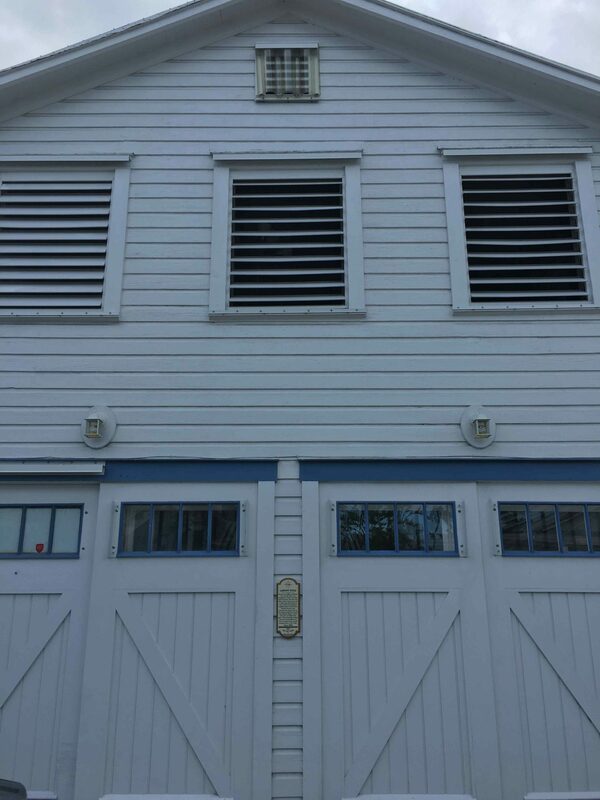 The front gate is ornate and a lot of love and attention is given to the home. It is well kept and looks, probably, much like it did in the 1900’s. Part of my morning routine is to take a long walk. I enjoy exploring different parts of town and seeing the flowers bloom with the seasons. If you have seen this home before, check it out again. 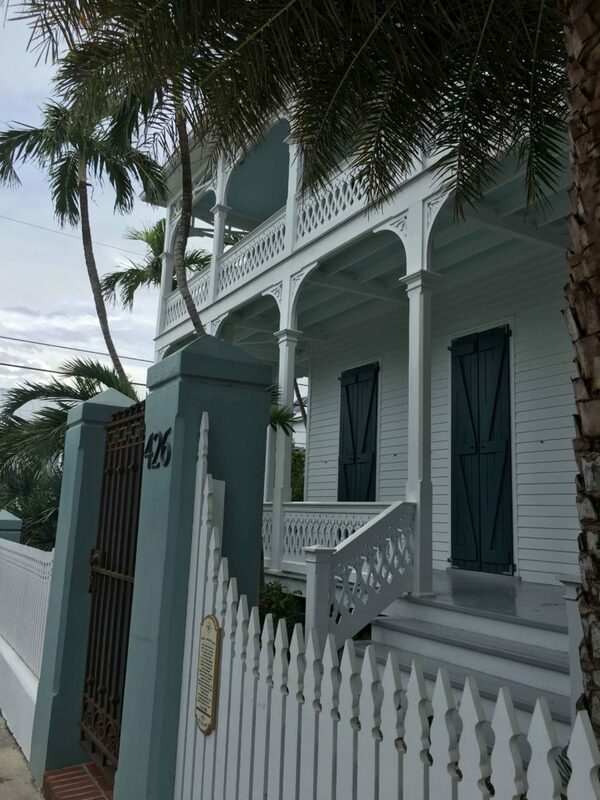 A different season brings a different light to any area in Key West.